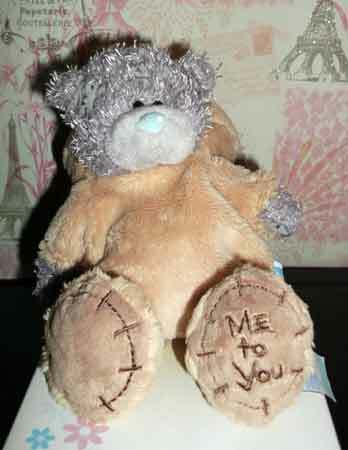 Tatty Teddy Bears - Welcome to my sales page for limited edition bears. 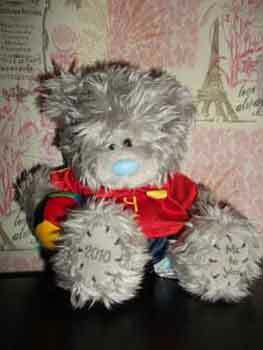 I have also included a link at the bottom to currently active limited edition tatty bears on eBay. Description: Super soft fur with a slight sheen. 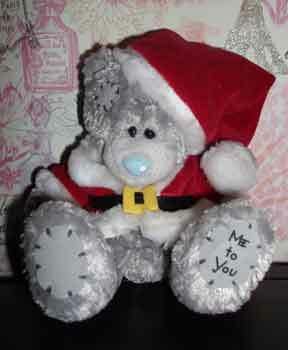 The bear is wearing a red Santa hat and red coat with black and yellow belt. 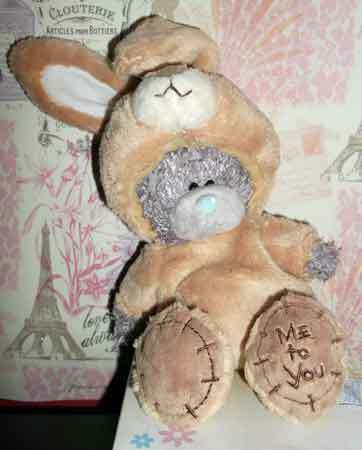 Description: Very soft, very cute bear with removable hat which is attached to the rest of the costume. Still attached to original box. Description: Bear is dressed in red top and blue shorts. He is holding a multi coloured football under one arm. On the back of the shirt are the words "Tatty Teddy 9". The Spanish football team emblem is on the front of the shirt as well as the number 9.